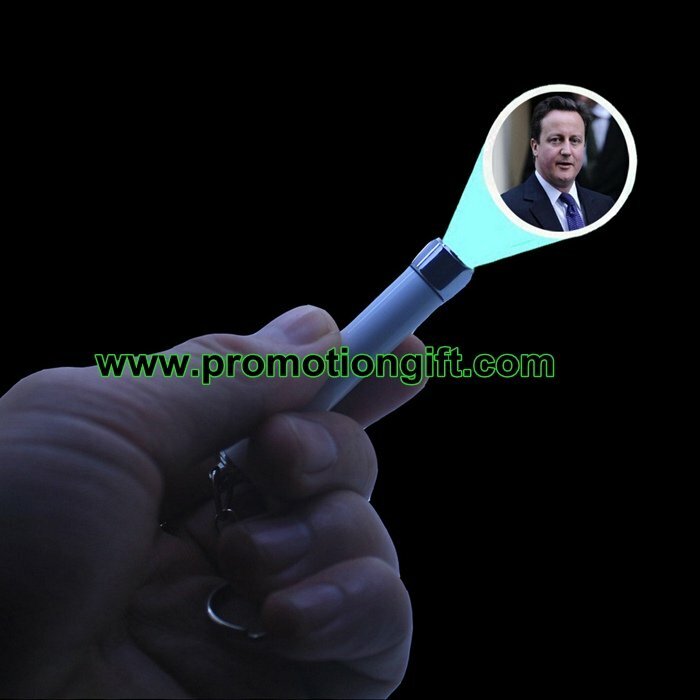 1, Press the button and logo or words can be projected from the torch. 2, Projector image can be customized; serve as an ideal electronic gifts for advertising, sales promotion,and other occasions. 3, Case material: aluminum; Unit size: 6.3cm(length) x 1cm(dia.). 4, Batteries included and replaceable. Unit size: 6.3cm(length) x 1cm(dia. ).